Inscription: 1914-1918 To the Glory of God and to the memory of the men of this parish who laid down their lives in the great war. Private G/12944, 1st Battalion, The East Kent Regiment, 6th Division. Killed in action 10th December 1916. Aged 26. Husband of Annie Edith Baker (née Hedger) of Edburton (remarried Backshall); later of The Old School House, Nep Town, Henfield. Born in Hangleton and enlisted in Henfield. Formerly with The 1/4th Royal Sussex. Buried in Guards Cemetery, Windy Corner, Cuinchy, F.279. 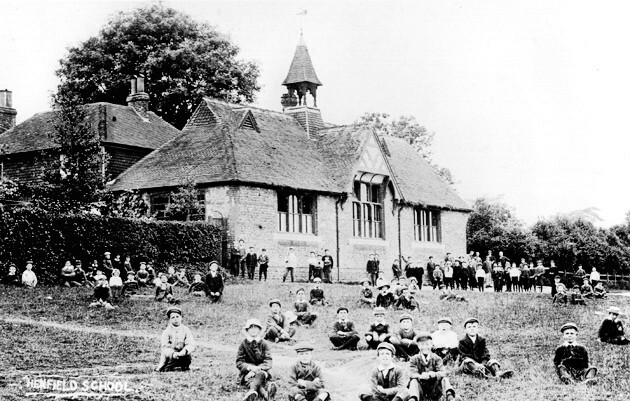 Began work as a farm carter boy, married in Brighton in the year he died, resident at School Cottages, Edburton. Served successively in Greece, Turkey, Egypt and France. Awarded the 1914-15 Star and the British War and Victory Medals. Died in Pas de Calais. Private G/16288, 12th Battalion, The Royal Sussex Regiment, 39th Division. Killed in action on the Somme 22nd October 1916. Husband of Mrs. S. Baker of Stables Cottage, Albourne. Born in Hangleton in 1890 and enlisted in Worthing. Buried in Connaught Cemetery, F.215. Awarded the British War and the Victory Medals. Brother of James (above) and William (below). or (ii) William Baker, Private S/2066, 2nd Battalion, Royal Sussex Regiment. Killed in action at Richebourg, 9th May 1915. Both were awarded the 1914-15 Star and the British War and Victory Medals. Born in Portslade in 1879, the son of a farm carter. Subsequently lived in Shoreham, employed as farm labourer, beach carter and cartage contractor. Married Emily Grinstead in 1896. Of the four Baker brothers, only the youngest, Albert, survived the war. Corporal 39955, 1/21st Battalion, The London Regiment (The Surrey Rifles), 63rd Division. Killed in action 25th August 1918. Aged 21. 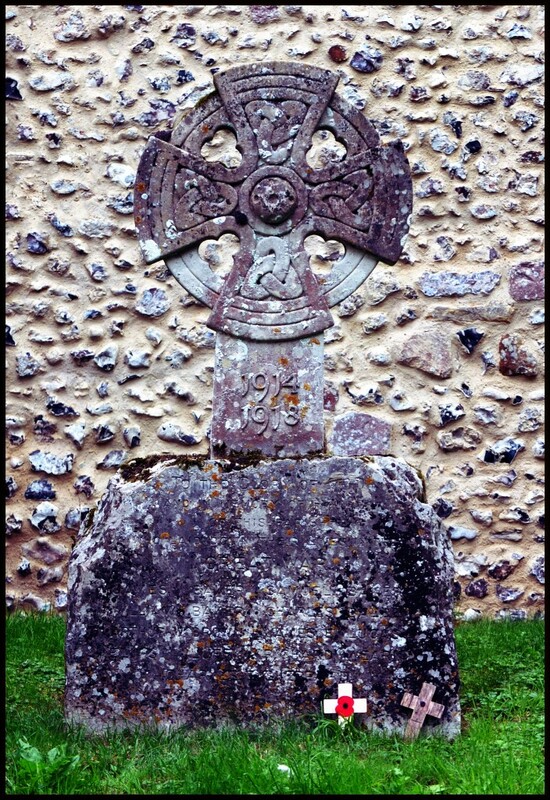 Son of Charles & Maria Baldey of High Croft, Nep Town, Henfield. Formerly with the Royal Sussex Regiment. Born in Brighton in 1898. Enlisted in Chichester. Resident of Fulking. Commemorated on The Vis en Artois Memorial, MR.16. Awarded the British War and Victory Medals. The census records that his parents were running the Shepherd and Dog by 1901 and were still there in 1911. His father died in the same year as his son. Private SD/4950, 11th Battalion, The Royal Sussex Regiment, 39th Division. Killed in action on the Rue du Bois, Fleurbaix, 30th June 1916. Aged 33. Son of James Arthur & Mary Anne Brown of Edburton. Born in Westmeston and enlisted in Brighton. Buried in St. Vaast Post Military Cemetery, F.631. Farm labourer. Awarded the British War and the Victory Medals. Private G/9194, 2nd Battalion, The Royal Sussex Regiment, 1st Division. 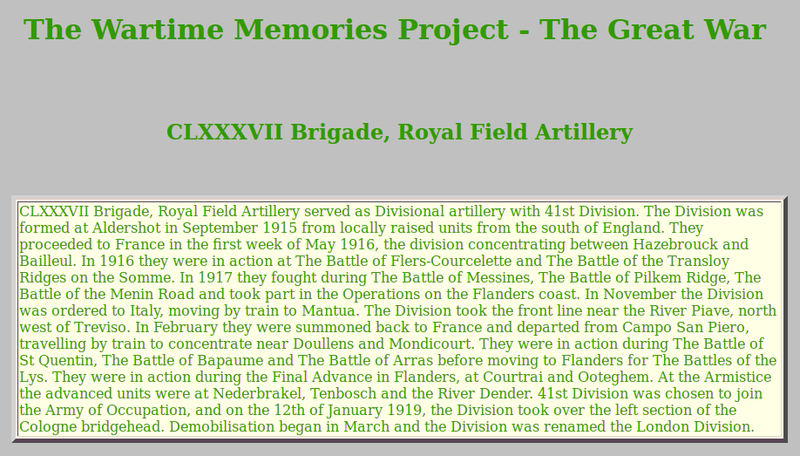 Killed in action near Bazentin, 7th August 1916. Aged 23. Son of Obadiah & Rhoda Lucas of Fulking, uncle of James Lucas (below). Born in Fulking and enlisted in Hove. Buried in Brewery Orchard Cemetery, F.83. Grocer. Awarded the British War and the Victory Medals. Lance-Corporal L/4705, 10th Company, 3rd Home Reserve Battalion, The Royal Sussex Regiment. Died in Newhaven Military Hospital 18th April 1916 (Sussex Daily News). Aged 39. Son of Mr. Luff & Mrs. Susan Luff of Fulking. Old regular soldier recalled to the colours in 1914. Buried in Portslade Cemetery. For a fuller account of what is known about the life and death of Private Luff, see Nightingale & Wilson-Wheeler (2016), pages 55-57. Shoeing Smith 123947, C Battery, 187th Brigade, Royal Field Artillery. Died of wounds in Belgium, 6th October 1918. Aged 26. Husband of Mrs. Frances Sarah Florence Sheppard (née Franks) of Shaves Wood Farm, Albourne. Born in Fulking and enlisted in Hove. Buried in Lijssenthoek Military Cemetery, Belgium, B.11. 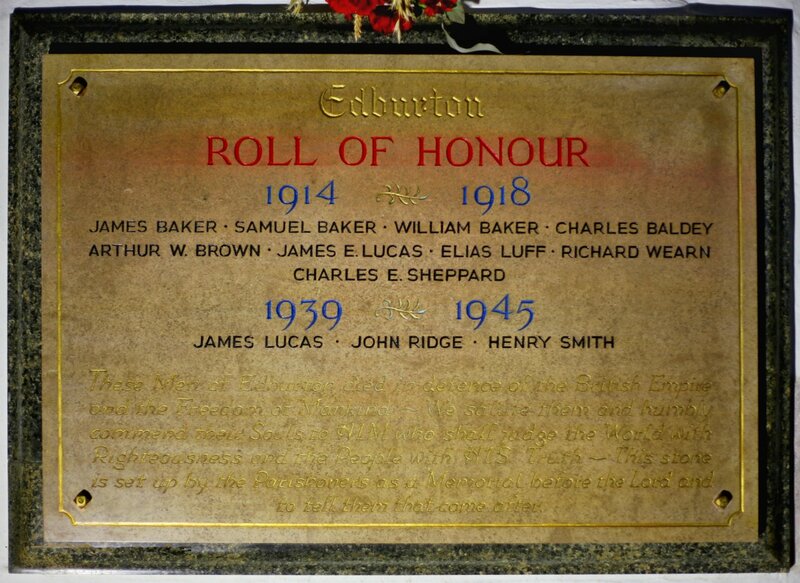 A general labourer, born in Fulking, enlisted in Hove, married in Edburton in 1917. Awarded the British War and Victory Medals. Private 2040, 4th Battalion, The Australian Infantry. 1st Australian Division. Killed in action 15th May 1916. Aged 26. Son of William & Mary Wearn [Wearin] of Fulking. Buried in Merville Communal Cemetery, F.345. A builder’s carter, born in Hove in 1889 and living with his parents in Kent Cottage in 1911, he emigrated to Australia the following year and became a gardener. He enlisted in the Australian Army in 1915, was wounded at Gallipoli and again, fatally, in France. Awarded the 1914-15 Star and the British War and Victory Medals. Inscription: These Men of Edburton died in defence of the British Empire and the Freedom of Mankind ~ We salute them and humbly commend their Souls to HIM who shall judge the World with Righteousness and the People with HIS Truth ~ This stone is set up by the Parishoners as a Memorial before the Lord and to tell them that come after. Flight Sergeant 751653, 55 Squadron, Royal Air Force Volunteer Reserve (Bristol Blenheim Mk.1Vs). Killed in action 12th September 1941. Age 20. Son of Percival Walter & Jane Mabel Lucas of Fulking, nephew of James Edward Lucas (above). Commemorated on the Alamein Memorial, Egypt. Chief Officer, SS Punta Gorda (London), Merchant Navy. Died 18th September 1944. Aged 46. Husband of Mrs. Jane Elsie Ridge (née Cook) of Stammers Hill, Fulking. Commemorated on The Tower Hill Memorial, London. Born in Woolwich, married in Steyning in 1924, buried in Aruba. Died as a result of a collision at sea. Awarded the 1939-1945 Star, the Atlantic Star, and the 1939-1945 War Medal. Not identified: one of 412 in CWGC records with that name. 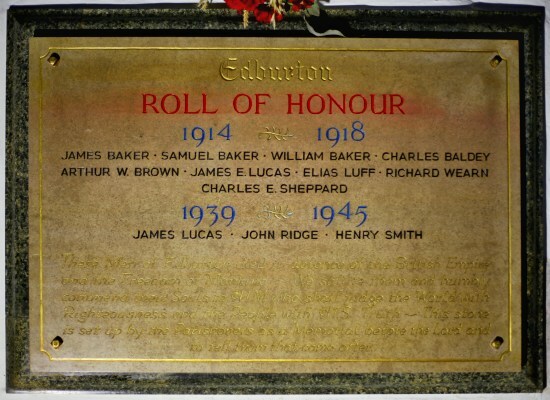 The original text of the individual entries provided above is the work of Chris Comber and is taken from the relevant page of the invaluable Roll of Honour website, copyright © Roll-of-Honour.com, 2002-2015. We are very grateful to Chris Comber and Martin Edwards for their permission to use this material here. 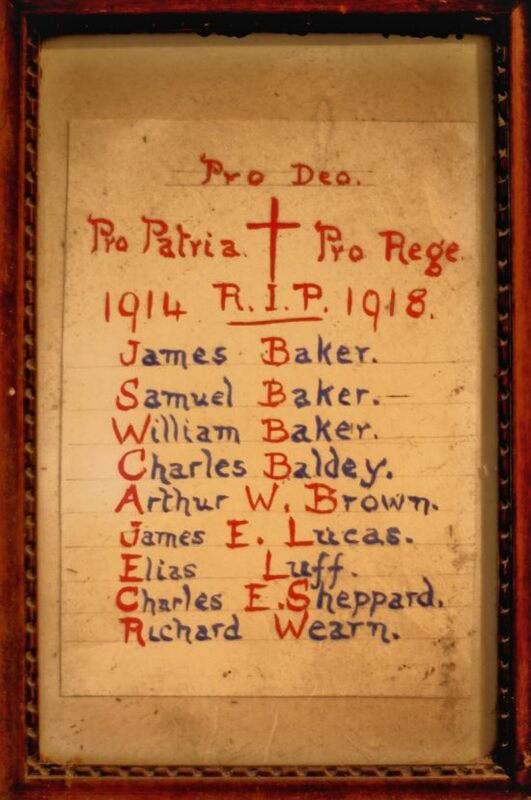 Additional information concerning those who died in WWI has been abstracted from the relevant pages of Pat Nightingale & Ken Wilson-Wheeler (2016) The People of Beeding and Bramber in the Great War, Upper Beeding: Beeding & Bramber Local History Society. The same authors provided the linked Sussex Daily News clipping concerning the unusual circumstances surrounding the death of Lance-Corporal Elias Luff. Finally, thanks to Ken Wilson-Wheeler for providing extra information about Chief Officer John Ridge. Revised and augmented: 20th February 2017.